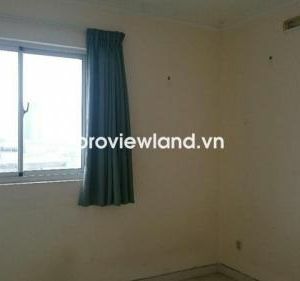 Serviced apartment for rent 1 separate bedroom on Hoang Sa street, District 1, new building, close to the roundabout Dien Bien Phu, opposite Thi Nghe river, very cool. 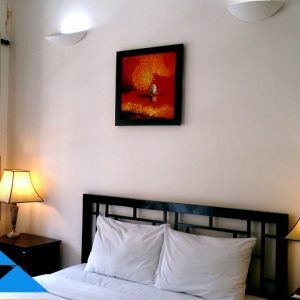 Thien Phu property for rent serviced apartment on Hoang Sa street, district 1 is designed 1 bedroom and 1 bathroom in an area of 30m2 with 450 USD full of furniture, modern design and sophisticated that will serve all your daily living needs in the best way. 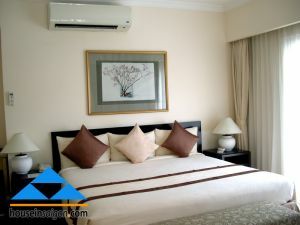 The building is designed with a variety of rooms to guests choose, the interior with simple colors bring cool space with windows in the bedroom to provide natural light and cozy living space, help tenants comfortably relax after the stressful working hours. 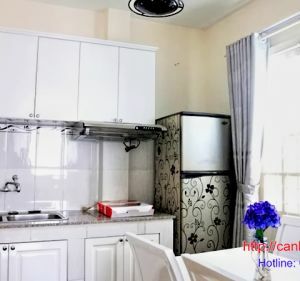 The amenities available serviced apartment for rent on Hoang Sa street such as TV, refrigerator, bed, bed sheets, pillows, wardrobe, dining table, kitchen and kitchen equipment . Everything is ready for use when you move into the apartment.